Zlatka Koleva is a graduate from the Erasmus University Rotterdam and is currently an Intern at the ASSER International Sports Law Centre. In June 2014, two prominent Dutch speed skaters, Mark Tuitert (Olympic Champion 1500m) and Niels Kerstholt (World Champion short track), filed a competition law complaint against the International Skating Union (ISU) with the European Commission. Today, the European Commission announced that it has opened a formal antitrust investigation into International Skating Union (ISU) rules that permanently ban skaters from competitions such as the Winter Olympics and the ISU World and European Championships if they take part in events not organised or promoted by the ISU. The Commissioner for Competition, Margrethe Vestager, stated that the Commission "will investigate if such rules are being abused to enforce a monopoly over the organisation of sporting events or otherwise restrict competition. Athletes can only compete at the highest level for a limited number of years, so there must be good reasons for preventing them to take part in events." Wil is working as a lawyer since 1980. He started his legal career at Rechtshulp Rotterdam. Later on he worked for the Dutch national trade union FNV and law firm Varrolaan Advocaten. Currently he is participating in the Labour Law Section of lawfirm MHZ-advocaten in Schiedam in the Netherlands. He is also a member of a joint committee advising the government in labour issues. Editor's note: James Kitching is Legal Counsel and Secretary to the AFC judicial bodies at the Asian Football Confederation. James is an Australian and Italian citizen and one of the few Australians working in international sports law. He is admitted as barrister and solicitor in the Supreme Court of South Australia. James graduated from the International Master in the Management, Law, and Humanities of Sport offered by the Centre International d'Etude du Sport in July 2012. On 12 May 2015, the Court of Arbitration for Sport (CAS) announced that the World Anti-Doping Agency (WADA) had filed an appeal against the decision issued by the Australian Football League (AFL) Anti-Doping Tribunal (AADT) that thirty-four current and former players of Essendon Football Club (Essendon) had not committed any anti-doping rule violation (ADRV) identified within the AFL Anti-Doping Code (AADC). The players had each been charged with using Thymosin-Beta 4 (TB4) during the 2012 AFL season. On 1 June 2015, WADA announced that it had filed an appeal against the decision by the AADT to clear Mr. Stephen Dank (Dank), a sports scientist employed at Essendon during the relevant period, of twenty-one charges of violating the AADC. Dank was, however, found guilty of ten charges and banned for life. This blog will solely discuss the likelihood of the first AADT decision (the Decision) being overturned by the CAS. 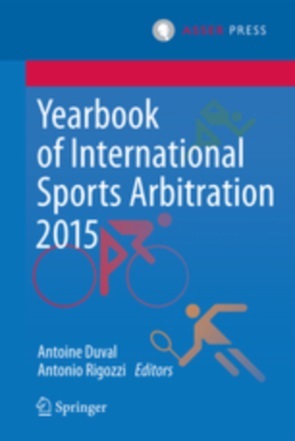 It will briefly summarise the facts, discuss the applicable rules and decision of the AADT, review similar cases involving ‘non-analytical positive’ ADRVs relating to the use of a prohibited substance or a prohibited method, and examine whether the Code of Sports-related Arbitration (CAS Code) is able to assist WADA in its appeal. Availing oneself of EU law in the ambit of sports in 1995 must have felt a bit like digging for plutonium, but following the landmark ruling of the European Court of Justice (ECJ) in the Bosman case, 20 years later, with all the buzz surrounding several cases where EU law is being used as an efficient ammunition for shelling various sports governing or organising bodies, one may wonder if in 2015 EU law is to be “found in every drug store” and the recent cases (see inter alia Heinz Müller v 1. FSV Mainz 05, Daniel Striani ao v UEFA, Doyen Sports ao v URBSFA, FIFA, UEFA)  cannot but invitingly evoke the spirit of 1995. The first part of the present blog article provided a general introduction to the compatibility of fixed-term contracts in football with Directive 1999/70/EC (Directive). 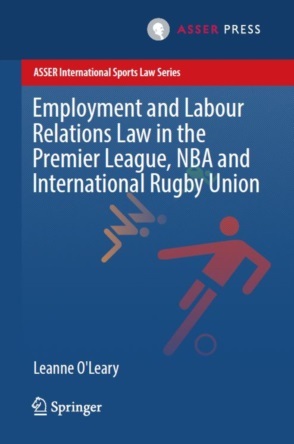 However, as the Member States of the European Union enjoy a considerable discretion in the implementation of a directive, grasping the impact of the Directive on the world of football would not be possible without considering the national context. The recent ruling of the Arbeitsgericht Mainz (the lowest German labour court; hereinafter the Court) in proceedings brought by a German footballer Heinz Müller provides an important example in this regard. This second part of the blog on the legality of fixed-term contract in football is devoted to presenting and assessing the Court’s decision.